Do you wish to have a cinema-like sound experience in your own home? Or maybe you want to entertain your guests with nice summer tunes in your pergola without them tripping on those messy wires. 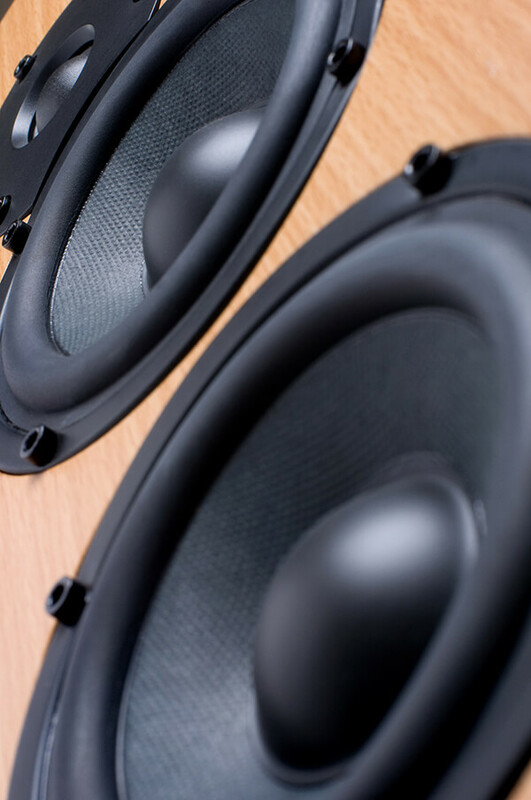 When it comes to installation and wiring of your audio system our technicians are the experts you can reply on! Whether you want a simple 5:1 surround sound or a set of ceiling speakers in each room of your house we will get it done at the highest of standards. We all like the slim minimalistic look of our modern TVs. However it comes with a sacrifice – the thinner your TV is the smaller its speakers become. Consequently, the smaller your speaker is the harder it will be to get a great sound out of it. You simply can’t cheat physics. This is why additional external or in-wall audio systems have become so popular. There are so many brands to choose from. Some of them look very stylish and can be a valuable addition to your home décor. The last thing you want to do is ruining this trendy look with untidy wires. Our professional installers will make sure all cables are tucked away in wall cavities and neatly connected to the speakers. They will help you choose the best position for each speaker. Our technicians use only high quality speaker cables to unleash the best sound your audio system is capable of. Many people don’t realise how important it is to connect speakers with proper wires especially for longer runs. Apart from positioning and connecting your speakers our installers will also adjust settings on your amplifier and provide you with the instructions on how to operate it. In-wall or ceiling speakers are other popular choices for sound distribution in modern homes. They look good, don’t take up much space and can even be painted over to match your walls. You can forget about dragging your stereo outside each time you want to entertain your guests in the outdoor area. By installing ceiling speakers in your pergola you can play your favourite music with a press of a button. Installation of these speakers can be quite tricky as you need to be very precise with their positioning. You don’t want to cut through a wall only to find out there is a stud behind. If you have any doubts call Sydney Antennas and we will send a knowledgeable technician with proper equipment who will do the hard work for you. Book a Quote online now or give us a call on 1300 200 160! Sydney Antennas offer a wide variety of services for Domestic and Commercial clients, in Telecommunications, Home Entertainment and Security. Please give us a call on 1300 200 160 or use our online booking form and one of our team members will call you back promptly.